Saratoga Jewish Community Arts, with a generous grant from the Jewish Federation of Northeastern New York and the Golub Corporation, presents the HBO film _Night Will Fall_ in commemoration of Yom Hashoah (Holocaust Remembrance) Day on May 2 at Temple Sinai, Saratoga Springs. In 1945, Britain’s army film unit commissioned a sprawling documentary on the liberation of Nazi concentration camps that would in due course be directed by Alfred Hitchcock. A new film explores the forgotten masterpiece. He eventually secured his good pal, Alfred Hitchcock, to serve as the film’s supervising director. But the horrifying and shocking footage of numerous barbaric concentration camps, shot by British, American, and Russian World War II soldiers as the camps were being liberated, became tangled up in a complicated web of politics and artistic row. A new HBO documentary pulls back the veil on the making of German Concentration Camps: Factual Survey. This eye-opening film-on-a-film Night Will Fall was produced by Brett Ratner and directed by Andre Singer, who served as president of The Royal Anthropological Institute of Great Britain. 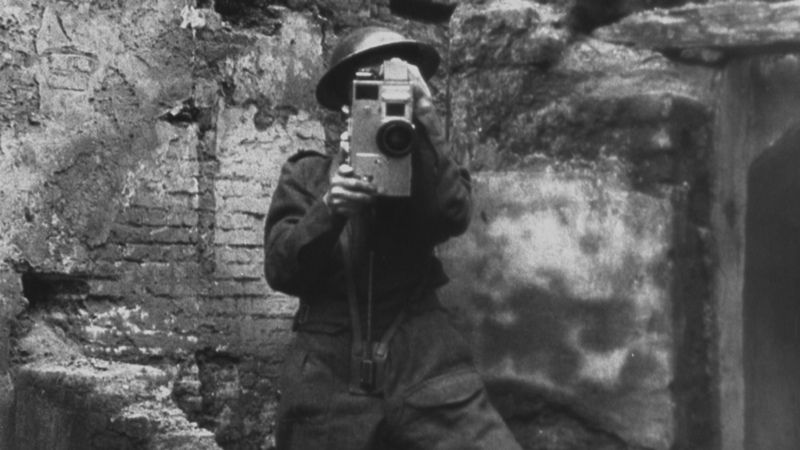 The documentary opens with footage from German Concentration Camps: Factual Survey of the British 11th Armoured Division. The British solders found tens of thousands of emaciated prisoners inside the camp, many of whom were on the brink of starvation. Bernstein was given only three months in 1945 to complete the film. He felt he needed to recruit his friend Alfred Hitchcock to help him piece it together. He thought if he had a prestigious director, it would help give credibility to the film. Hitchcock served as a “director’s advisor,” supervising the way the footage was edited. He demanded that the documentary emphasized long shots and frequent pans, so that people wouldn’t question its authenticity. Hitchcock was also extremely disturbed by the stark contrast between the lives of Germans living near the camps and the ghastly nightmare within, and requested that the film use maps to highlight their proximity, driving home the message that these German citizens knew exactly what was going on. Bernstein’s footage was eventually used as evidence against Nazi officials during the Nuremberg trials. His original uncensored vision never saw the light of day. Singer claims that the British government chose to kill the comprehensive documentary because they didn’t want to further alienate the German people who were in a rebuilding phase and, with hints of the Cold War starting to appear, were seen as a potential ally against the Soviets. As well, the British were worried about the budding Zionist movement and weren’t interested in galvanizing support for a Jewish state. As for Singer’s documentary Night Will Fall, he felt it vital to inform audiences of what really happened at the Nazi camps in order for the wounds of the past to heal, but not be forgotten. The sensitive handling of this daunting documentary is remarkable. Its resonance with the depth of depravity that diminished all humanity is all too relevant today when any section of humanity is inflicted with such brutality, irrespective of race, color, creed, belief or other differences. Night Will Fall will be shown at Temple Sinai on Thursday, May 2, 2019, at 7 p.m. A reception and panel discussion will follow. A $5 donation is requested. For information or reservations, call 518-584-8730, option 2, or email office@saratogasinai.org.